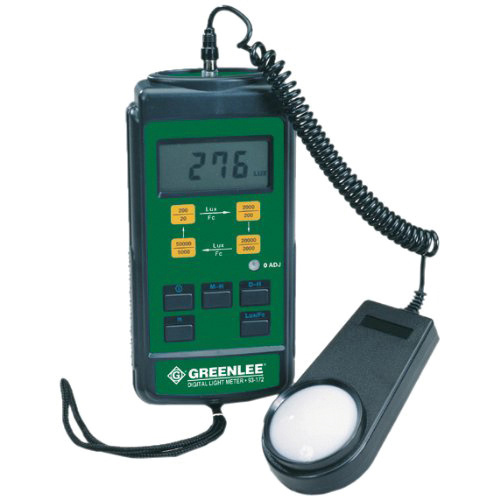 Greenlee Digital light meter has a measuring range of 0.1 - 50000 Lux. This meter includes 9-Volt battery and carrying case. It measures incandescent, fluorescent, metal halide, high-pressure sodium and halogen lamp output. It withstands a maximum temperature of 0 - 40 deg C. This meter offers accuracy of +/-4% for incandescent and +/-7% for other light source.